Earlier today, Paul Singer’s Elliott Associates revealed the launch of a veritable activist tour-de-force, taking activist stances on two Unified Communications and Collaboration (UCC) Vendors and pushing for their merger. In a 13D filed with the Securities and Exchange Commission, the U.S hedge fund manager disclosed a 5.84 million-share stake in Polycom Inc. (NASDAQ:PLCM), accounting for 4.4% of the company’s outstanding shares. The public filing revealed that Singer’s investment firm and its affiliates acquired 2.8 million shares over the past 60 days. Most importantly, Singer sent a letter to the company’s Board of Directors, outlining that a potential consolidation transaction with Mitel Networks Corp (NASDAQ:MITL) would represent a great alternative for both companies. At the same time, Elliot Associates disclosed an ownership stake of 7.62 million shares in Mitel Networks in a separate 13D filing, which represent 6.3% of its outstanding common stock. This marks an increase of 2.31 million shares since August 17, when Elliott filed a 13G filing regarding its ownership position at that time. The investment firm had previously been a passive investor in the company, but changed its position so as to facilitate the discussions on the aforementioned transaction. The shares of Polycom have skyrocketed by over 16% so far in today’s trading session, while Mitel’s stock has gained more than 17%. Following activist funds like Elliott is important because it is a very specific and focused strategy in which the investor doesn’t have to wait for catalysts to realize gains in the holding. A fund like Singer’s can simply create its own catalysts by pushing for them through negotiations with the company’s management and directors. In recent years, the average returns of activists’ hedge funds has been much higher than the returns of an average hedge fund. Furthermore, we believe do-it-yourself investors have an advantage over activist hedge fund investors because they don’t have to pay 2% of their assets and 20% of their gains every year to compensate hedge fund managers. We have found through extensive research that the top small-cap picks of hedge funds are also capable of generating high returns and built a system around this premise. In the 36 months since our small-cap strategy was launched it has returned over 118% and beaten the S&P 500 ETF (SPY) by more than 60 percentage points (read more details). Elliott Management Corporation represents the management affiliate of Elliott Associates L.P. and Elliott International Limited. Elliott Associates L.P. is a New York-based hedge fund launched by Paul Singer back in 1977, and represents one of the oldest hedge funds under continuous management. Elliott currently oversees more than $27 billion in capital and employs a multi-strategy investment approach. The investment firm primarily specializes in the technology sector, and has pinpointed bountiful value-creating opportunities within this sector. 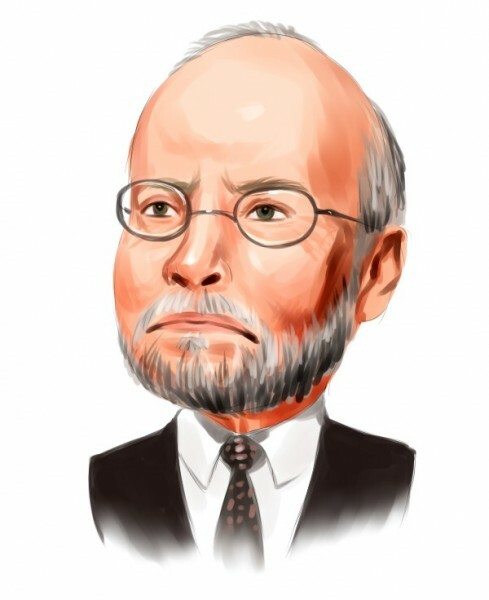 Paul Singer’s firm takes an activist approach to investing and seeks distressed and undervalued companies. According to the firm’s 13F filing for the June quarter, Elliott Associates oversees a public equity portfolio worth $7.13 billion. Let’s now focus our attention on the letter sent by Singer to Polycom Inc. (NASDAQ:PLCM)’s Board of Directors. The letter outlines that Polycom, Mitel and most UCC vendors have been operating in a highly-competitive market, which has made it really hard to maintain market share. As stated by the letter, Polycom has undergone numerous attempts to revitalize its stock performance, which have not turned out to be successful. The company has overhauled its management team, adjusted its strategy, undertaken cost-cutting efforts, and implemented share buyback programs, yet Polycom’s shares still continue to underperform its peers. Hence, the only way Polycom can achieve its much-needed turnaround is to undertake consolidation, beginning with the Polycom-Mitel combination. According to Singer’s letter, the consolidation strategy may provide an upside potential of more than 80% for Polycom’s shares. Furthermore, Elliott is willing to financially support Polycom’s potential acquisitions within the industry.